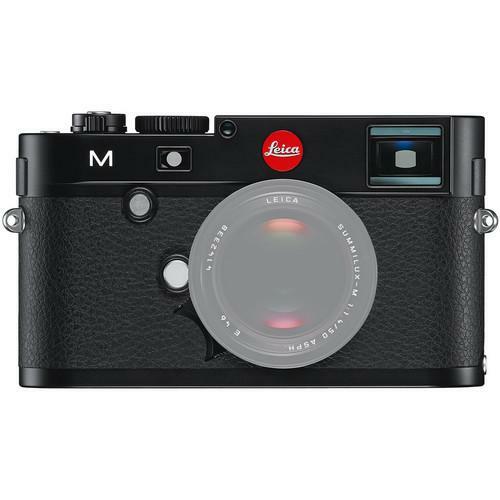 We recommend checking out our discussion threads on the Leica M Digital Rangefinder Camera (Body Only, Silver) 10771, which address similar problems with connecting and setting up Mirrorless System Cameras Leica. The user manual for the Leica M Digital Rangefinder Camera (Body Only, Silver) 10771 provides necessary instructions for the proper use of the product Photography - Digital Cameras - Mirrorless System Cameras. 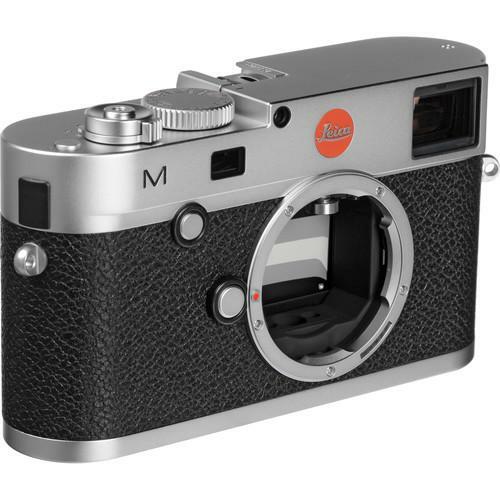 The silver M Digital Rangefinder Camera from Leica is a traditionally-styled M-series camera that blends elements of Leica's celebrated past with contemporary imaging technology. This camera features a full-frame Leica Max 24MP CMOS sensor and Maestro image processor to realize rich image quality with low noise levels and smooth color and tonal gradations. The sensor and processor combination also avails the ability to shoot continuously up to 3 fps, record full HD 1080p video, and enable a top sensitivity of ISO 6400. Unique among digital cameras, the M maintains Leica's preference for a rangefinder design and incorporates a 0.68x optical viewfinder with split and superimposed manual focusing and automatic parallax correction. Alternatively, the M is also the first M-series camera to integrate live view shooting capabilities, with the added convenience of being able to check focus and composition on the rear 3.0" 920k-dot LCD monitor. As with past M-series cameras, the M retains the ability to utilize the vast network of M-mount lenses and is also compatible with Leica R-mount lenses via an optional adapter. When working in live view, and since focusing operation is entirely manual, focus peaking and 10x live view zoom can be utilized to ensure critical focus. While using the optical viewfinder, internal LEDs display shooting and camera information and frame lines are displayed to match lens' focal lengths with focusing accuracy to 6.6'. The M's body design is constructed from die-cast magnesium alloy and wrapped in a synthetic leather covering while the top and bottom plates are made from milled brass and the rear LCD is covered with scratch-resistant Corning Gorilla Glass. Altogether, this durable design is built for enhanced strength and resistance to splashes, dust, and inclement conditions. An integrated thumb rest, along with a minimal, yet intuitive ergonomic control scheme avail quick access to necessary camera controls. Additionally, a redesigned 1800mAh lithium-ion battery permits increased working times and reliability for all-day shooting. The user manual for the Leica M Digital Rangefinder Camera (Body Only, Silver) 10771 can be downloaded in .pdf format if it did not come with your new mirrorless system cameras, although the seller is required to supply one. It is also quite common that customers throw out the user manual with the box, or put the CD away somewhere and then can’t find it. That’s why we and other Leica users keep a unique electronic library for Leica mirrorless system camerass, where you can use our link to download the user manual for the Leica M Digital Rangefinder Camera (Body Only, Silver) 10771. The user manual lists all of the functions of the Leica M Digital Rangefinder Camera (Body Only, Silver) 10771, all the basic and advanced features and tells you how to use the mirrorless system cameras. The manual also provides troubleshooting for common problems. Even greater detail is provided by the service manual, which is not typically shipped with the product, but which can often be downloaded from Leica service. If you want to help expand our database, you can upload a link to this website to download a user manual or service manual, ideally in .pdf format. These pages are created by you – users of the Leica M Digital Rangefinder Camera (Body Only, Silver) 10771. User manuals are also available on the Leica website under Photography - Digital Cameras - Mirrorless System Cameras.